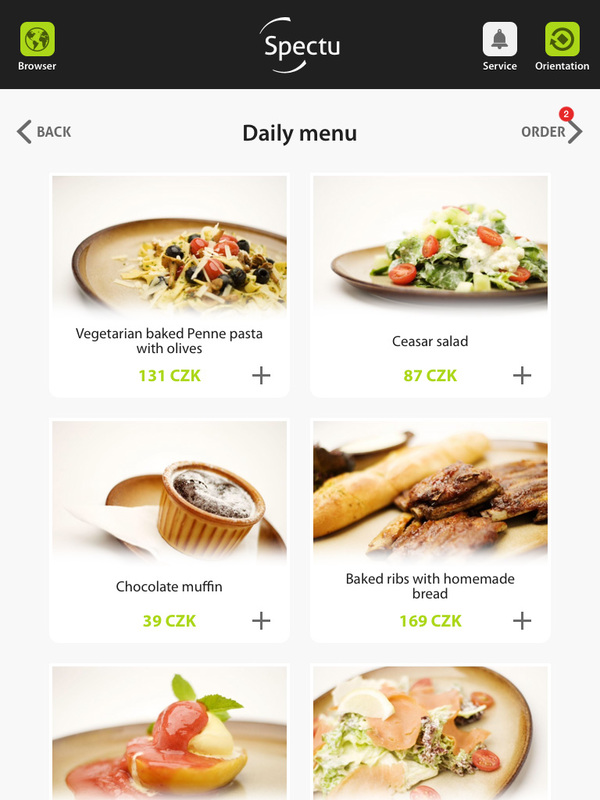 Spectu is interactive menu for iPad allows your customers to browse and order food and beverages in easy to use way. 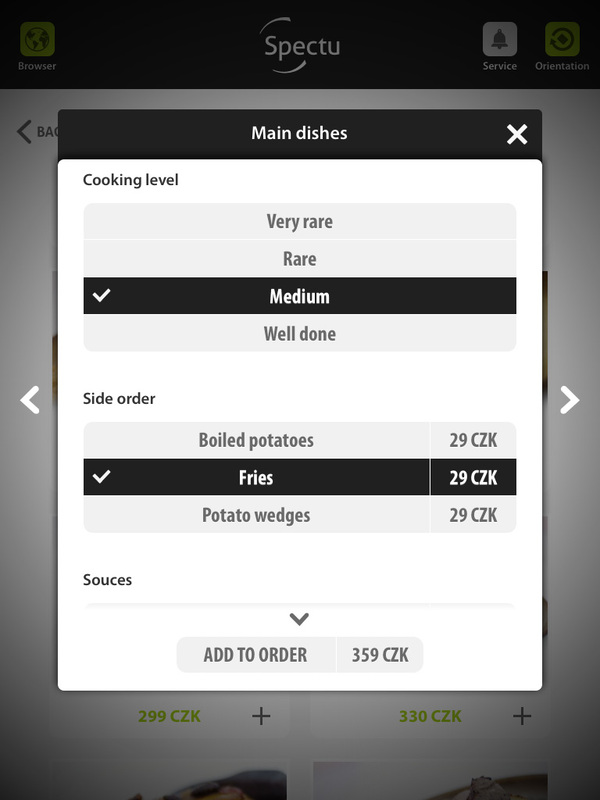 You can present your menu with photos of foods, advanced informations as list of allergens, ingredients, interactive map of origin, street view or nutritional values and much more. 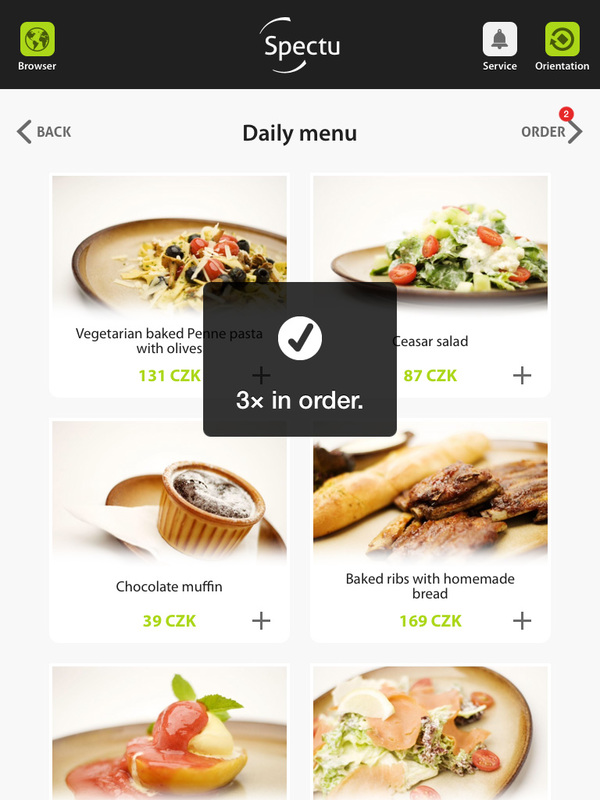 Thanks to sleek refreshing design menu is intuitive and easy for orientation. 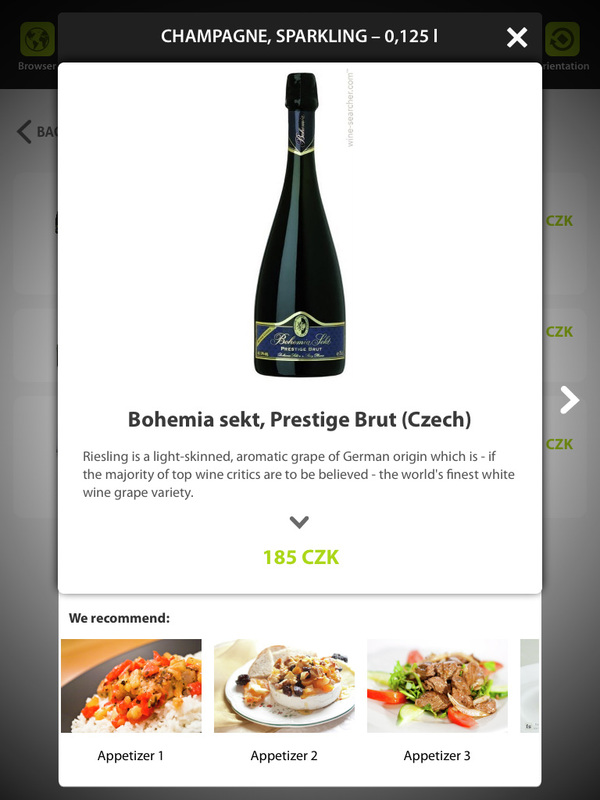 Spectu can send orders straight to a point of sale system or you can use Spectu without ordering just as digital menu or wine list. 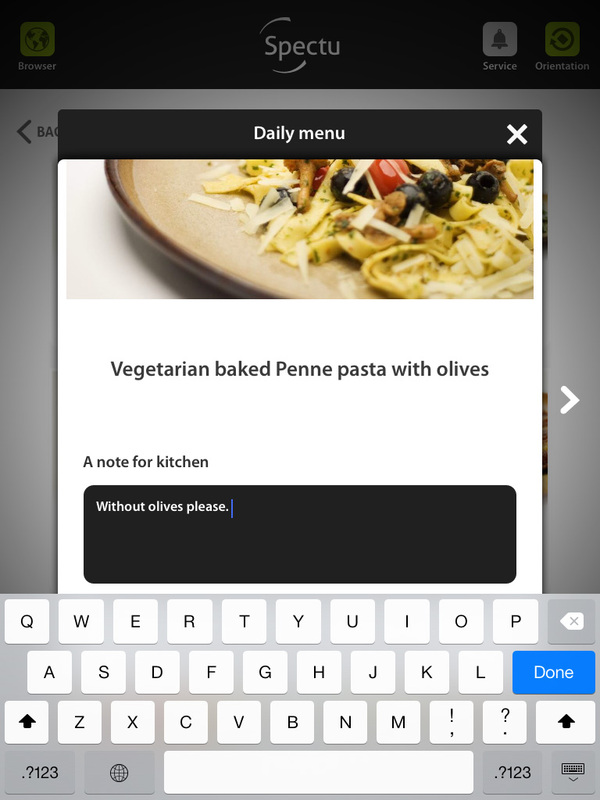 The application running on the Apple iPad which can be served as classic menu or can be bult-in a table in restaurant.Spectu allows to present menu in several languages. 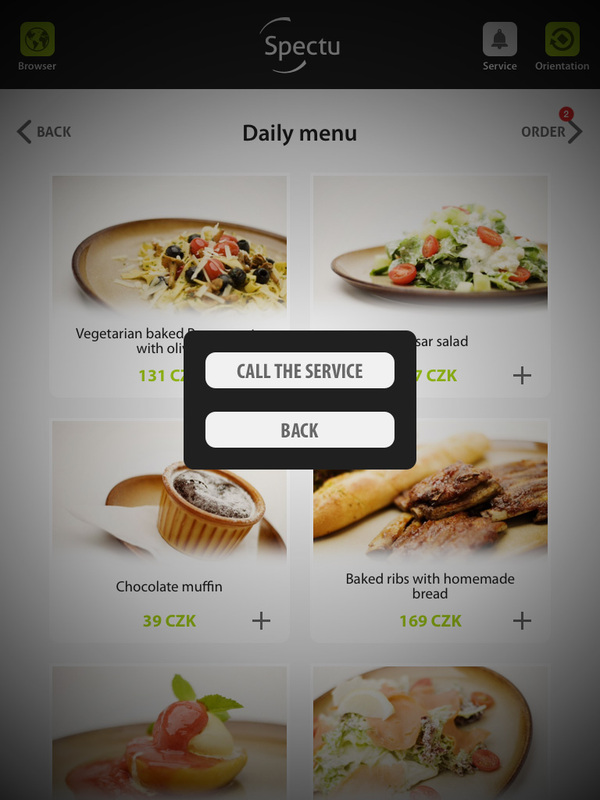 Also our app will safe your money for printing new menus and it will be updated in a second throught your web broswer. For each client we make custom design. In conjunction with Apple iPad Spectu definitelly get atantion of your customers. They can play games or broswe internet or you can limit or restrict these functions by simple settings. 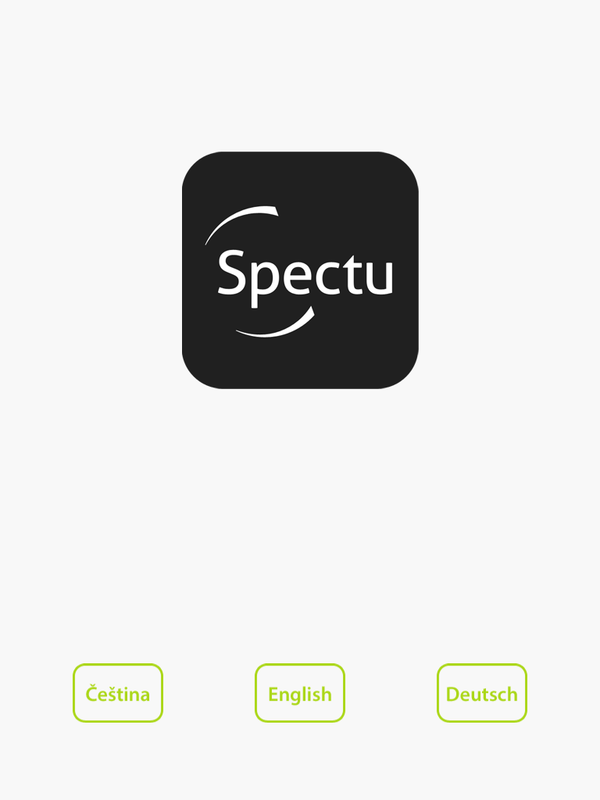 Finally Spectu will increases your revenue up to 14% thanks to the electronic presentation and recommendation system.